Expedia has some outstanding Gescher vacation packages. Combining your bookings is one of the simplest ways to save time and cash — and get your adventure off to a flying start. By securing a package deal on Expedia, you can save as much as C$590*. Our comprehensive database lists more than 400 partner airlines and 321,000 worldwide properties. With such a wide range of options, you really can't go wrong! Not 100% sure about your booking? There are no hidden fees from us if you change almost any reservation. Itinerary looking a little thin? Gescher vacation all organized but don't know what you're going to do when you arrive there? Let us make it simple. Traipse through the historic halls, chambers and passageways of Ramsdorf Castle. This mighty structure offers an educational outing for everyone. Still have time on your hands? If you've got an inquisitive spirit, pay a visit to Westphalian Bell Museum. You never know what you'll find out here! If you're seeking luxury getaways or cheap vacations in Gescher, it's wise to book a place to stay before you go. There are only 3 Expedia properties currently on offer. 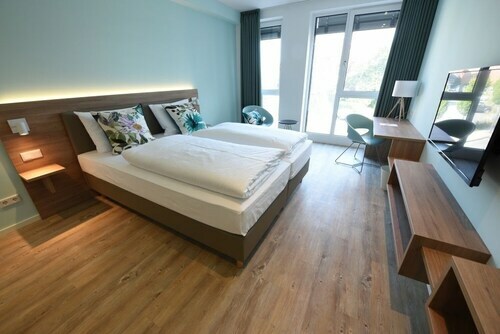 If you're looking to make life a little easier, why not go with one of our top suggestions, such as the Hotel zur Krone (Hauptstrasse 39) or the Dom Hotel Gescher (Kirchplatz 6)? We don't think the airport will be the highlight of your adventure, but there's nothing like the excited rush of knowing that your trip to Gescher is just a plane ride away! Once the plane lands at Münster - Osnabrueck International Airport (FMO), you'll be 30 miles (48 km) from the middle of town. Situated in Gescher, this hotel is within 9 mi (15 km) of St. Brigida Church, Ramsdorf Castle, and Egelborg Castle. Ahaus Town Hall and Ahaus Castle are also within 12 mi (20 km). 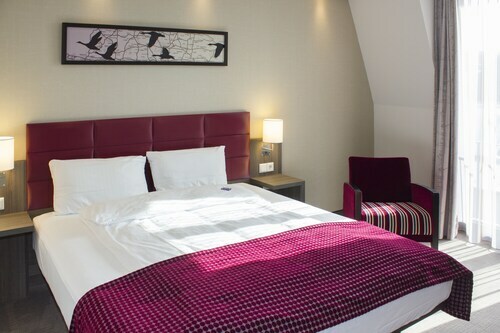 Located in the heart of Enschede, this hotel is within a 10-minute walk of Grote Kerk, Stadhuis, and Rijksmuseum Twente. University of Twente and Grolsch Veste are also within 3 mi (5 km). Enschede Station is only a 3-minute walk. 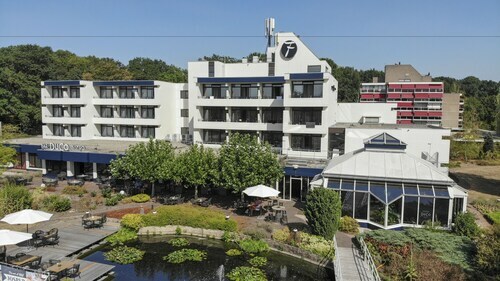 Situated in Winterswijk, this eco-friendly hotel is within 1 mi (2 km) of Winterswijk City Park, St. Jacob's Church, and Boogie Woogie Foundation Institute for Arts and Culture. Bocholter Stadtwald is 12 mi (19.3 km) away. Winterswijk West Station is 11 minutes by foot and Winterswijk Station is 23 minutes. Situated in a rural location, this hotel is 0.8 mi (1.3 km) from St. Brigida Church and within 3 mi (5 km) of Egelborg Castle and Stove Museum. Church of the Assumption and Ahaus Town Hall are also within 6 mi (10 km). Legden Station is 23 minutes by foot. Located in the heart of Luedinghausen, this hotel is 7.1 mi (11.4 km) from Schloss Nordkirchen and within 16 mi (25 km) of Cappenberg Castle and Werne Golf Club. Lake Aasee and Allwetterzoo Münster are also within 20 mi (32 km). Lüdinghausen Station is 18 minutes by foot. 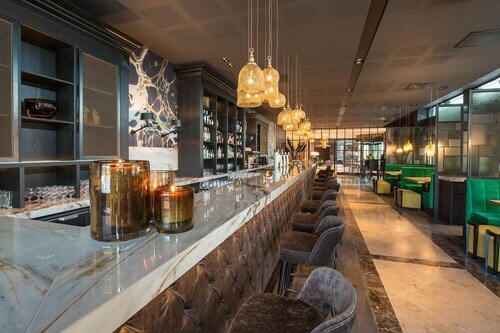 Situated in Enschede, this eco-friendly hotel is within 3 mi (5 km) of Stadhuis, Grote Kerk, and Rijksmuseum Twente. Hulsbeek in Oldenzaal and Grolsch Veste are also within 6 mi (10 km). Enschede Station is 29 minutes by foot. 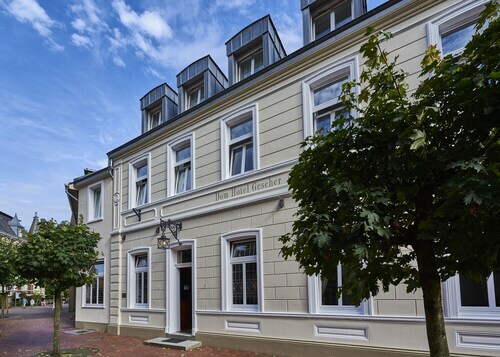 Situated in Nottuln, this hotel is within 6 mi (10 km) of Church St. Martinus, Rhode Park, and Baumberger Sandstone Museum. Burg Hulshoff and Haus Ruschhaus are also within 9 mi (15 km). Thu., 23 May - Thu., 6 Jun. Thu., 11 Jul. - Thu., 18 Jul. Fri., 9 Aug. - Sun., 18 Aug.